Remember when Nora walked out and slammed the door behind her in Ibsen’s 1879 masterpiece, "A Doll's House"? Well, she’s back. It’s 15 years later and Nora confronts Torvald to demand that he officially divorce her. She navigates some hilarious and harrowing negotiations with her husband, their daughter Emmy, and their nanny Anne Marie, as we watch the woman who once up-ended the rules of marriage return to set the record straight. 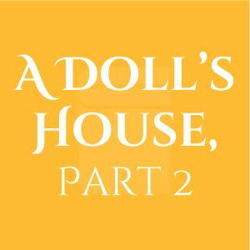 A must-see for theater-lovers and anyone who’s ever tried to be married, come see "A Doll's House, Part 2", written by Lucas Hnath and directed by Ted Pappas, at Pittsburgh Public Theater at the O'Reilly Theater.